World-wide in scope and focusing on the second half of the 20th century, this work provides biographies and discographies of some 500 composers and conductors of light and popular orchestral music, including film, show, theatre and mood music. 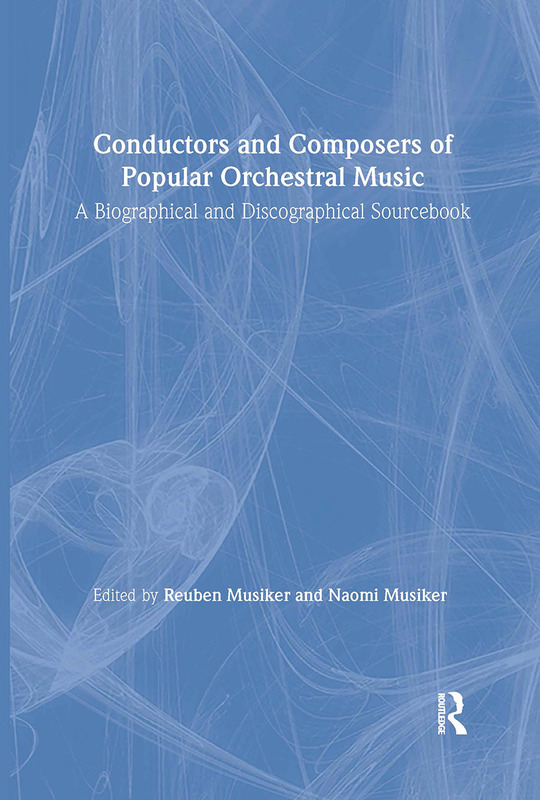 The book is arranged in two sequences: 1) Biographies and select discographies, both arranged alphabetically, of the well-known and better-known conductors and composers. These entries also include a list of suggested reading for those wishing to further their studies; and 2) Select discographies of conductors about whom little or no biographical information is available. The bibliography at the end of the book covers discographical sources, popular music and film music. This is the first time that the lives and recordings of such artists as Kostelanetz, Faith, and Gould as well as the orchestral recordings of such great popular composers as Gershwin, Kern, Porter, Rodgers, Berlin and Coward have been documented and presented in an encyclopedic form.